75 pages. Illustrated in color throughout. Softcover. 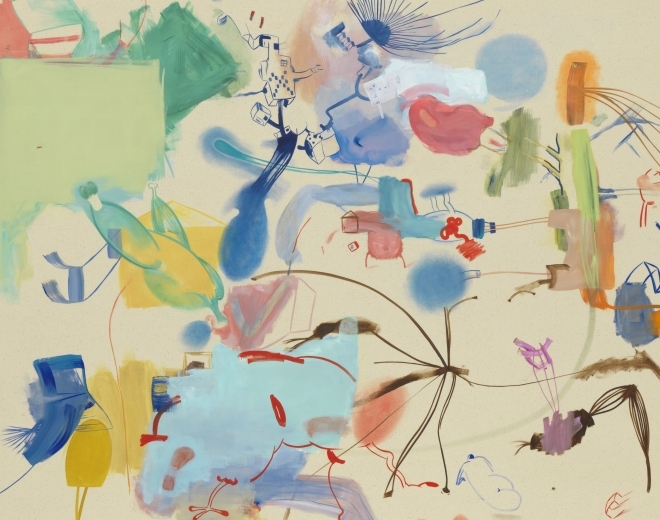 Published on the occasion of the exhibition Sue Williams: New Paintings at Skarstedt London, this catalogue features full plate images, details, and installation photographs, as well as an essay by art historian and scholar Julie Belcove. This exhibition and catalogue explore Williams’ continued interest in exploring the fluid boundary between figuration and abstraction and her pursuance of the transformation of one into the other.